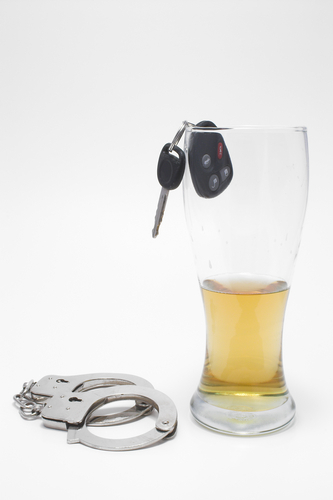 > Blogs > DUI > DUI Penalties > When Is a DUI in Colorado a Misdemeanor versus a Felony? When Is a DUI in Colorado a Misdemeanor versus a Felony? Misdemeanor versus felony DUI charges in Colorado can have very different impacts in the event of a conviction, with felony cases always carrying far more severe penalties than misdemeanors. Below, we will point out when DUI charges are usually filed as misdemeanors versus felonies in Colorado. A Denver & Boulder DUI lawyer explains when DUI charges in CO are typically misdemeanors versus felonies. Contact us for the best DUI defense. Were not involved in an accident and the alleged incident did not involve injuries (or deadly harm) to anyone else. So, in general, if people are accused of an impaired driving offense for the first, second or third time in Colorado and none of these incidents ended in an accident, injuries or death, misdemeanor DUI charges will most likely be filed (so long as there is sufficient evidence to support the charges). Drivers have at least three prior DUI cases, and they are arrested for an impaired driving offense for the fourth (or subsequent) time. The alleged DUI caused serious bodily injuries – or fatal injuries – to someone else. When determining how many prior DUIs someone has (for the purposes of figuring out when felony charges should be filed), DUIs acquired in other states WILL usually count against someone in Colorado. Although felony DUI cases in CO can result in far harsher penalties (than misdemeanor DUI cases) for the accused, it can be possible – with the help of an experienced attorney – to mitigate these impacts. For instance, there may be opportunities to avoid or minimize incarceration in exchange for time spent in alcohol treatment programs. Both misdemeanor and felony DUI cases in CO require a strong defense to protect the rights, freedom and future of the accused. Have you been charged with a misdemeanor or felony DUI offense in Colorado? If so, you can turn to a Denver & Boulder DUI lawyer at Griffin Law Firm for experienced help and the best possible defense. With more than 18 years’ experience in the criminal justice system, our attorney understands the complexities of the system, the challenges different defendants can face and the best ways of overcoming these challenges to bring criminal cases to successful resolutions. He will work relentlessly to defend those accused of drunk driving in Colorado and to help them resolve their cases as favorably as possible.